My usual hardware setup includes a Canon EOS 60D (go.macworld.com/eos60d) with an assortment of lenses; an iPad mini (16GB model); and a Lighting SD Card Reader. I have iPhoto for iOS and Photo Stream for iOS on the iPad, and at home I use Aperture or iPhoto on my Mac. I prefer working with the Canon 60D because it accommodates this workflow easier. 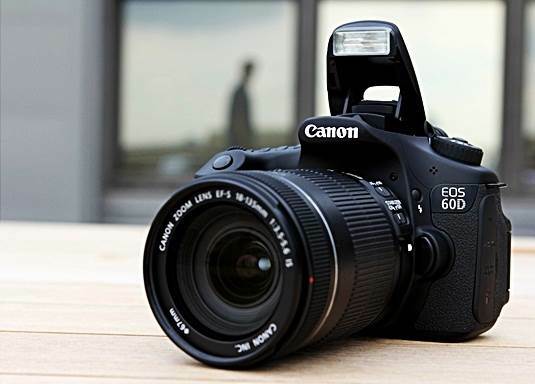 In its menu, I configure the 60D to shoot RAW+JPEG; with that setting in place, the 60D records both a RAW version and a JPEG version of the image when I take a picture. The RAW files are 5184 by 3456 pixels; as I said, I use them for final delivery of content to the client. For the JPEGs, I use fine-quality S, which produces 2594-by-1728-pixel files which is plenty of resolution for publishing online. Once I’ve shot a few images, I want to share them online quickly. First, I make sure that my iPad is connected to the internet via Wi-Fi, and that my Photo Stream is turned on (Settings ª iCloud ª Photo Stream ª My Photo Stream). To transfer images from the camera to the iPad, I remove the SD Card from the Canon and connect it to the iPad mini using the Lighting SD Card Reader. The iPad will see both the RAW and the IPEG files and label them as ‘RAW+JPEG’. At his early stage, you can’t separate those formats. I choose the shots that I want to upload by tapping them and then tapping the blue Import button. The iPad asks me whether I want to import all of the photos or just the ones I’ve selected; I make sure it knows to import only the selected shots. The software then copies both versions of the image to the iPad. However, it also warns me that multiple formats have been imported and that Photo Stream will upload only one version of each. That’s what I want, because Photo Stream uploads the JPEG version by default. Once the upload is complete, the iPad asks if I want to keep or delete the files on the memory card. It’s important to keep them because I’ll revisit the images when I’m back home and working on my Mac. After waiting for a minute or so, I tap the Photo Stream tab to check on the images I’ve copied from my camera. If they’re there and they should be – I’m in business. Now it’s time to move over to iPhoto for iOS, which can communicate with my pictures in iCloud. The JPEG versions of my recently uploaded pictures are available in the blue Photo Stream album in my iPhoto for iOS library. I tap the Photo Stream album to open it, and then I scroll down to access the shots I need. After some quick image editing, I tap the share button and upload the photos to Flickr, Twitter, Facebook, or whatever the client wants. Alternatively, I use the Open In command to send the photos to Dropbox or to another location. With that, it’s time to go back and take some more pictures. The reason I don’t like to keep RAW files on my iPad is that each RAW file from my Cano 61D occupies approximately 21MB of space. In contrast, each JPEG, configured in the camera as Fine/Small, takes up about 1.3MB of memory. So if I were to leave just the JPEGs on my iPad, I could accommodate 76 images in 100MB of storage. When the shoot is over, I head home to my Mac for postproduction. I still have all of those RAW+JPEGs sitting on my SD Cards, so I open Aperture and connect an SD Card to the Mac. In the Import dialog box, I confirm that the RAW+JPEG Pairs option is enabled. If it isn’t, I click the Import Settings pop-up menu and select it. I select RAW Files Only from the Import pop-up menu. Then I bring in all the images from my various SD Cards. When Aperture asks if I want to keep or delete the memory card’s files, I choose Keep: For the moment, those files are my backups. Once I’ve run the Vault in Aperture, or archived the library via Time Machine, I can clear the memory card. 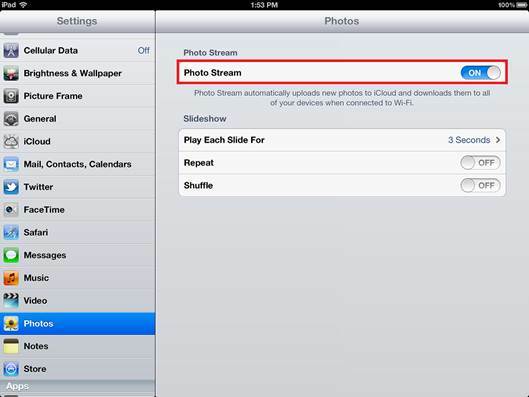 If you use iCloud, as I do, for this workflow, plenty of images will be flowing through your Photo Stream. The capacity is 1000 of your latest images. I recommend that you set up Aperture or iPhoto to archive your Photo Stream; that way, as older images are pushed off, you still have access to them. If you use Aperture, go to Preferences ª Photo Stream, and check the boxes next to My Photo Stream and Automatic Import. Since I use Aperture for my everyday work, I prefer to have iPhoto serve as my iCloud archive. You could shoot in just JPEG or RAW format, if doing so suits your style of working. If you’re a JPEG-only shooter, the process is simpler: Take your pictures, copy the ones you want to the iPad, have fun with the selected few, and – when you get home upload everything on the memory cards to your Mac. RAW shooters who don’t capture many frames can bypass the RAW+JPEG workflow and go with RAW. 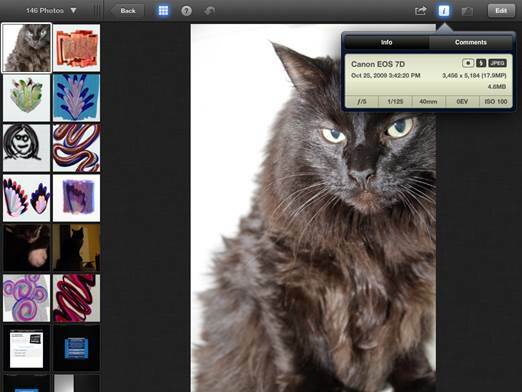 The iPad will see your files and let you play with them and you’ll upload the RAW files to your Photo Stream. But your iPad’s free memory will diminish rapidly. For photographers like me, however, who shoot a lot of pictures and want to share them online with an iPad, and later have access to high-quality versions of the files, this RAW+JPEG workflow provides maximum flexibility.